When it rains, snows, or hails, excess water runs off buildings and roads into storm drains and into our waterways. 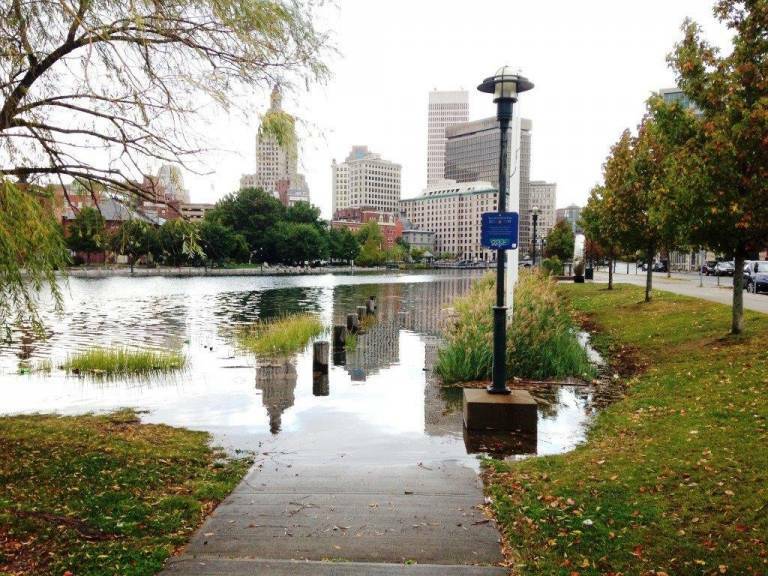 In nature, stormwater is absorbed and filtered through the ground. But in urban spaces, runoff water picks up pollution including pet waste, lawn chemicals, oil, and plastic. These pollutants then get carried into our rivers, and ultimately, end up in the Bay. Follow Providence’s rainwater from first drop to final destination. 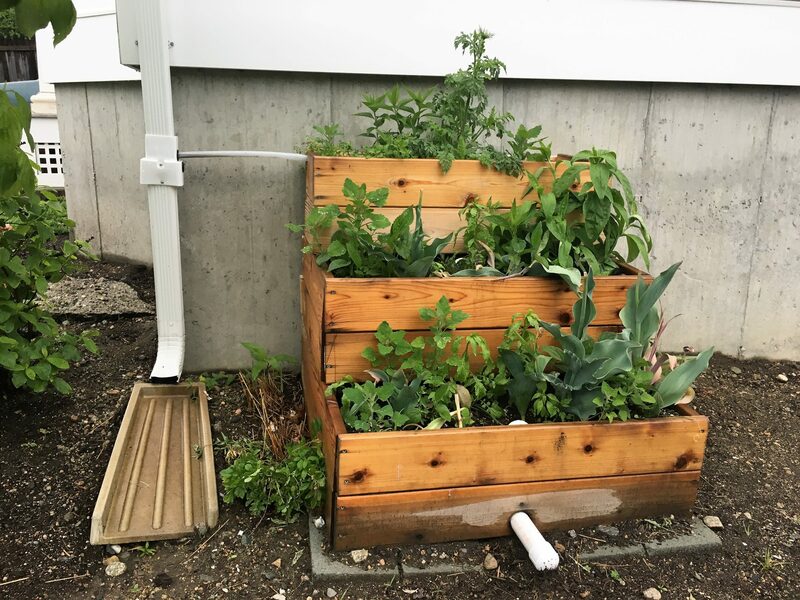 Capture rain and reuse: Disconnecting your downspout from the stormwater system will not only help improve water quality, but it’ll also provide you with greywater which can be used for gardening! 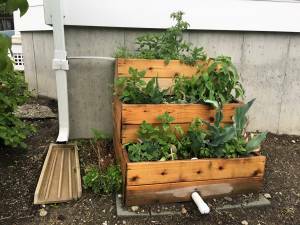 Buy a rain barrel or make your own, or check out URI’s resources for a number of other approaches to saving the runoff from your roof. 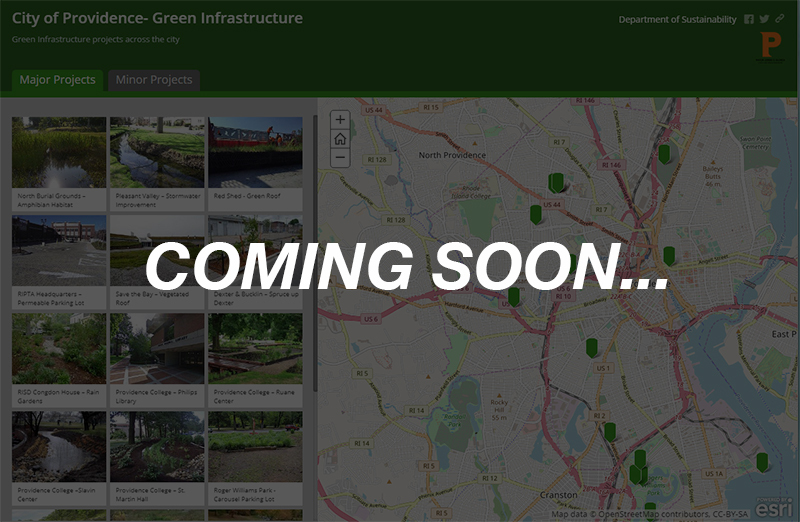 Follow SustainPVD on Facebook for news on upcoming rain barrel making workshops. Keep storm drains clear: Never dump anything near a storm drain or water drainage ditch. These areas have no water treatment and lead directly to rivers and streams. Zero waste: Litter thrown and left on the streets will get washed into our water system one way or another. This is how waste gets into or waterways and eventually ends up in the ocean. Scoop the poop: Clean up after your pet. We don’t want poop on our shoes, and we definitely don’t want poop in our water system. Slow the flow with green space: Rain gardens and other green spaces act as semi stormwater blockades; they absorb water, and can be strategically placed to slow the flow of stormwater as it heads to a drainage point. For more information on how to create a rain garden, click here. Clean up clippings: Discarded clippings and other bits of yard waste easily clog up storm drains, causing neighborhood flooding. 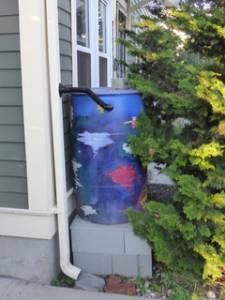 Interested in attending a rain barrel workshop? 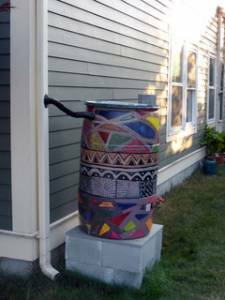 Email us at SustainPVD@providenceri.gov and we’ll let you know about upcoming rain barrel events.